Paul has definitely made a mark in the banking business, by his rise to CEO/Chairman of Wells Fargo Bank. Here are a couple of interesting articles about Paul. Paul Hazen, 57-year-old chairman and CEO of Wells Fargo & Co., learned much of what he knows about the banking business from legendary California banker Carl Reichardt. For 28 years, Hazen was Reichardt's junior partner, up until March, when Reichardt stepped down from the board of the San Francisco-based bank and sold most of his stock. Some viewed Reichardt's stock sale as evidence that the mentor had grown impatient with his student's performance at Wells. If that was the case, Hazen may have proven the doubters wrong with Monday's announcement of a merger with Norwest. In 1966, just two years out of the MBA program at the University of California, Berkeley, Hazen joined Reichardt at Union Bank, making loans to Southern California real estate developers from a trailer in Orange County. Four years later, they jumped ship to Wells. Reichardt became CEO in 1983. A year later he tapped his young lieutenant for the bank's No. 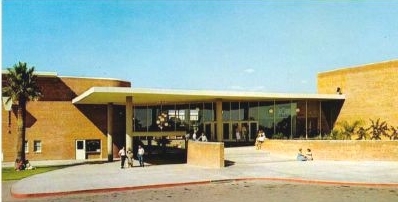 2 job, where Hazen spent the next 11 years. While he often seemed overshadowed by Reichardt's more gregarious personality, Hazen's contributions to the company were well recognized. For example, he was credited with Wells' 1986 acquisition of the Crocker National Corp., regarded as the most successful of that era. Hazen looked to save money and attract new business in the mid-1990s by closing dozens of traditional branches and increasing the use of alternative channels for reaching customers such as telephones, automated teller machines and computers. In 1995, when he became CEO of Wells, many observers wondered how Hazen would make a mark on the company. It didn't take long. Just 10 months into his tenure, Hazen launched a full-scale hostile bid for First Interstate Bancorp, at that time California's second-largest bank. Reichardt already had conducted inconclusive merger negotiations with First Interstate in early 1994. But First Interstate spurned Reichardt and later Hazen, partly out of fear of Wells' zealous approach to cutting costs and eliminating employees after takeovers. Hazen drove the deal to a successful conclusion, despite having to fend off a competing bid by Minneapolis-based First Bank System Inc., now U.S. Bancorp. In the process, Hazen frustrated Jack Grundhofer, who was CEO of First Bank and now runs U.S. Bancorp. The two men had grown up together at Union and at Wells. Reichardt was mentor to both men, but it was Hazen who landed the top spot. Grundhofer left San Francisco to take over a troubled First Bank System in 1990, after being passed over for the top job at Wells. By merging with Norwest, it appears as though Hazen has once again frustrated Grundhofer, who reportedly also made a bid for Wells. First Interstate gave Wells six million new retail accounts and a presence in nine additional states. Paying for the $13 billion acquisition, however, required Wells to cut expenses dramatically. The bank's strategists saw an opportunity to achieve some $800 million in savings by dovetailing the First Interstate conversion with Wells' ongoing branch reconfiguration project. But in the process of switching First Interstate accounts over to Wells, deposits were not recorded, checks bounced and angry customers harassed service representatives.Wells reported $180 million of operating losses in the second quarter of 1997 as it reimbursed First Interstate customers for lost funds and booked additional merger integration charges. Despite the loss, Hazen's compensation remained steady at about $3 million in 1997. Hazen - slight and rail-thin, with thinning hair, glasses and an angular face - believes in taking risks and stepping outside of his comfort zone. He is willing to act where others may step back. Hazen's management style has been described as quiet - even remote. He has a reputation for single-mindedly focusing on business and sometimes treating subordinates harshly. He also is known as a fighter, as illustrated in 1983, when he endured nine hours of surgery without anesthesia to repair injuries from a head-on auto crash on the Golden Gate Bridge. When he didn't like the doctor's prognosis - that he would be crippled for life - Hazen fired him and got a second opinion. Today he is a jogger, golfer and tennis player. Born in Lansing, Mich., and raised in Arizona, Hazen received a bachelor's degree in finance from the University of Arizona in 1963. He is married with two sons. In his spare time, he enjoys playing cards and listening to country-western music. NEW YORK, Dec. 20 /PRNewswire/ -- Paul Hazen, chairman and chief executive of Wells Fargo & Co. (NYSE: WFC), has been named Banker of the Year by American Banker, the leading daily newspaper on financial services. The newspaper cited Mr. Hazen for his bold actions on mergers, banking for consumers, and automation. "For better or worse," the paper wrote, "he has put San Francisco-based Wells at the forefront of some of the biggest issues in banking." Wells rocked the banking industry in 1996 with its hostile acquisition of First Interstate Bancorp. At the same time, Mr. Hazen has been aggressively replacing traditional bank branches with smaller, less costly outlets in supermarkets. He also has been blanketing the country with pre-approved loans for small businesses -- a relatively untested strategy. Mr. Hazen acknowledged that some of his moves are risky. However, he told the paper, "to stand pat with your hands in your pockets, and wait for somebody else to take the lead and then try to fit in behind them -- when you're not even sure if they're doing it right -- well, there's risk in that too." In selecting a banker of the year, American Banker looks for the executive who best stands for the times in the financial services. "With the industry hurtling into an uncertain future, banks increasingly will need the kind of quick and courageous management that Mr. Hazen has been exhibiting," the newspaper wrote.